The marinière, also known as striped knitwear, is now available in a great variety of colors and shapes. The traditional sailor is long-sleeved, with a straight cut, relatively long and with a round neck. Today, the navy blue marinière is declined in a multitude of traditional colors (green, red ..) but also fantasy (pink, orange, fuchsia, etc ...). The sailor is also available for children and babies, it is with short sleeves or long sleeves. Even the smallest can be today at the top of fashion and trend! 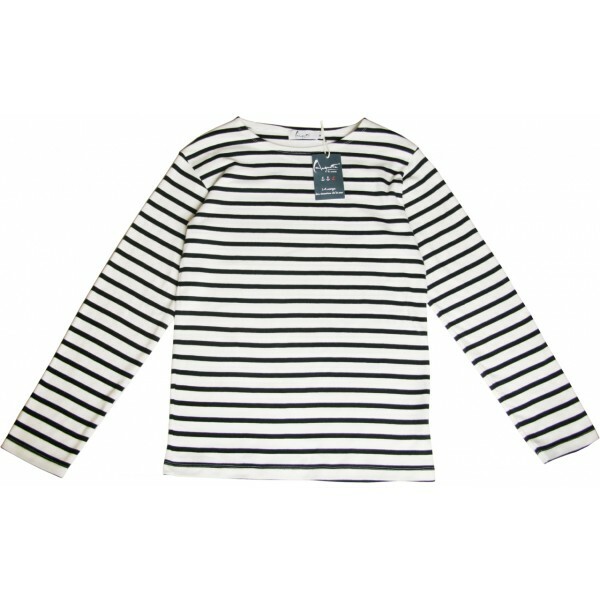 Marine wax (Breton), another must-have for marine clothing, was created by a major manufacturer of marine clothing. The idea came to him during a tour at sea, a rainy and windy day whose rhythm of hours is shaped by the crashing sound of the waves on the hull of the boats. One of his friends asked him why no one had imagined a garment that was as practical as a jacket and a jacket. That is to say it cuts off the wind and is also easier to put on and more waterproof than a heavy cotton coated. A few days later, the manufacturer returns to the nautical center of his friend and has tested the prototype of a jacket with zipper and double velcro. We are in 1960 and classic wax, solid and yellow, is born. Today it is sold everywhere. 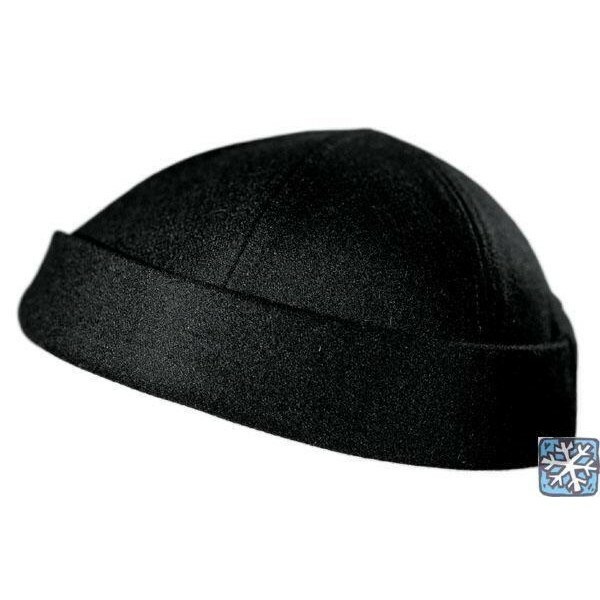 Combined with a waxed hat or a woolen hat, it is the ideal combination for facing marine storms. And it is also the perfect paraphernalia of the Breton sailor! There is the marinière, the yellow waxen but also the marine sweater. Made from a raw, thick wool, it's ideal for warmth and insulation. This garment was adopted by the fishermen of Saint-Malo, Saint-Brieuc who fished (mainly cod) in Newfoundland, a large island off the Atlantic coast of North America. When fishing was more difficult, some seafarers chose to do much less on the waves and stopped in England where they sold products like garlic and onion. It was at this time, when seeing sailors who became for the moment "garlic merchants" that the expression "sweater" was born, in reference to this famous outfit. The sweater has evolved over the years. It is said to be impermeable with its mesh so tight. Now it is very close to the body and much shorter. The buttoning on the side makes it easier to fit the sweater. The sweater will become a coded outfit. A Marine engineer ordered several striped sweaters at the end of the 19th century. His theory was that it was easier to spot a man who had fallen into the sea and had scratches. As a result, the sailors will wear stripes, while the officers wear a plain sweater. For the past fifty years, the model of the sweater has evolved. In the 1970s, the marine sweater was produced for the general public. Sobriety, elegance, comfort are elements that characterize this garment, cotton or wool. In the 19th century, the components of the crew men's uniform were ordered down to the last detail. Blue collar, pants with deck, knitted stripes and cotton with gold buttons. Sailors made the fashion. The marine style fascinates artists. The sailor inspires and remains a timeless figure. The striped knit (the sailor) was at the base a knitted cotton shirt, composed of 21 white stripes two centimeters wide and 21 blue stripes one centimeter. Formerly, the striped knit was worn under the jacket, today the sailor is generally uncovered. A sailor is worn so that it can be seen and noticed and not hidden under a sweater or waistcoat. Jean-Paul Gaultier, Armor-Lux, Saint James, have made this garment their flagship product and at the same time perpetuate the traditional style. The sailor comes in dress, t-shirt-vest ... Just look at the parades of the great couturiers and showcases to see the importance that the sailor has taken in the world of fashion. The marinière is trendy, the marinière brings a cultural and historical identity. It is part of the marine heritage and today therefore, of fashion. Our French Football team will be wearing a jersey (2nd jersey) at the World Cup in Brazil which will start on June 12th. And why not go to launch this fashion on the other side of the Atlantic? On the beaches of Copacabana and on the heights of the statue of Christ the Redeemer at the top of Rio de Janeiro ... The blue and white sailor among our Brazilian friends? Impossible is not French ! The marine style is a must in fashion that returns every year to the front of the stage. Tendency highlighted at the Kenzo spring-summer 2014 show. Kate Middleton, the wife of Prince William, recently wore a sailor but also a jacket in the marine style. The model Kelly Brook marched in a totally marine look, Heidi Klum displayed with a marinière and a flowered skirt. Kate Moss even dared the tattoo anchor. This trend is timeless. In the following decade, Jean-Paul Gaultier will make stripes its trademark. Major brands like Monoprix, Petit Bateau, H & M have made it a classic ever. The beret of the sailor with the red pompon: white or blue, the beret makes us immediately think of the marine world, the miki cap, wool, cotton or polar, very appreciated by sailors, due to the absence of Taken in the wind since there is no visor, this hat is useful in all situations. The traditional seaman's cap has a small visor to prevent it from flying once embarked on the ship. The suspenders, an accessory used by sailors to hold his sailor pants, nothing better than to hang them. Finished Breton or marine belt, the class is played in straps! 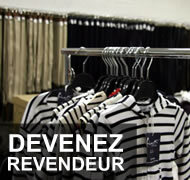 All clothing and accessories can be declined with Breton reminders. Anchors, whales, stripes, Breton motifs, will dress your socks, scarves, gloves, scarves ... These products dressed on the theme of the mother will delight lovers of sailing. Place to a climate that can, it is true to be slightly fresh, a look nature and not very sophisticated in appearance. But Brittany is full of landscapes of extreme beauty. You may not always be able to sunbathe on your beach towel, sip a little cocktail with your feet at the water's edge but you can walk along the dikes with a small 100% cotton striped You will head a little more towards the lands and go to meet the famous menhirs near Carnac. To avoid the gales, think of dressing yourself in a sea cap. Then, the southwest, more precisely the Aquitaine and small stop in the superb borough that is the Cap-Ferret. Once again, nature will amaze you. Stylish and chic resort in the French style. Proudly sport a sailor on your bike, for your stroll in the charming little streets dressed by tall pines .. You can opt for a pair of espadrilles, striped blue sea ... And why not a short shorts with impressions of benches Fish or inks. We put on the natural, not to forget also the large bags for the beach or to go to the market. It is refined and authentic. The holiday spirit is in order. The tradition of sea clothing is perpetual. His inspirations come from the marine world, of course. Reserved for the professionals of the world of the sea in its beginnings, the marine look became democratized and gradually touched the general public. Wax, navy sweater, Miki bonnet, matelos beret, deck pants; Are all products that we find today in all sauces. The mariner is the perfect example. The flagship product of some brands, it has been put back to taste by great designers and stylists in the last century. Jean-Paul Gaultier has even made its trademark. Its stripes come in sweaters, t-shirts, dresses, bags, shoes, shorts ... The garment and the sailor are trendy, so enjoy!